REVEALED : Law regulator’s dealings with organisation linked to client suicides & blocked prosecutions of legal aid fraudsters. 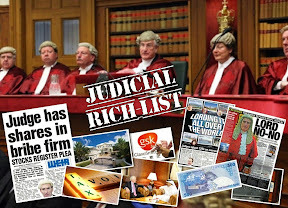 AN INVESTIGATION by Diary of Injustice into dealings between the Scottish Legal Complaints Commission (SLCC), the ‘independent’ quango which regulates complaints against Scottish lawyers and the Legal Defence Union, an organisation which represents the best interests of lawyers, recently linked to blocked criminal prosecutions of legal aid fraudster lawyers & also the suicide of a married Oban family man in the SLCC’s 2009 report into the Master Policy, has revealed a series of cosy meetings between the regulator & pro-lawyer lobby group at expensive Edinburgh hotels which the heads of both organisations agreed to keep off the record and away from public gaze. 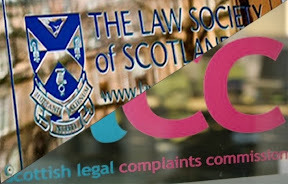 According to claims from SLCC insiders who are fed up with the non-achieving law complaints regulator, the scandal hit Scottish Legal Complaints Commission and the Legal Defence Union have now become so close, SLCC staff privately joke it is now “routine” for the Legal Defence Union to intervene in complaints investigations on behalf of solicitors interests while consumers who make complaints about their solicitors to the Scottish Legal Complaints Commission, are not represented in any way and have no organisation to turn to for help with their complaints. SLCC Chair Jane Irvine agreed no records of discussion between regulator & lawyer’s lobby group at Balmoral Hotel. 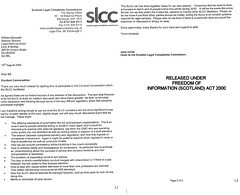 A limited amount of papers reluctantly disclosed by the SLCC under Freedom of Information legislation show a series of discussions between the two pro-lawyer bodies bosses, Jane Irvine for the SLCC and LDU Solicitor Director William Macreath, also a partner at law firm Levy McRae, who, according to the text of one of the letters disclosed to Diary of Injustice under FOI laws, both agreed “there would be no formal records of any element of the discussion.”. 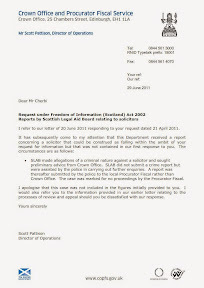 The letter from Jane Irvine to the LDU Director which disclosed the secret no-records-of-meetings policy went on to detail several technical issues about complaints regulation and how the SLCC should deal with solicitors & consumers, the former apparently having much greater priority over the latter. 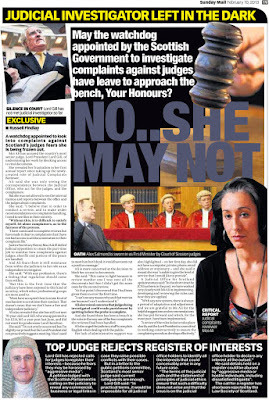 However, there is even darker news for clients of solicitors who are forced to make complaints to the SLCC, as it can now be revealed the Scottish Legal Complaints Commission has never disclosed the involvement of the Legal Defence Union to any client who has made a complaint, raising the possibility many clients who complained to the SLCC did not receive a fair hearing due to the fact they were not represented by anyone other than themselves while their solicitor was represented by the Legal Defence Union and other organisations such as LAW CARE, a lawyer operated ‘charity’ which ‘looks after’ & represents solicitors who regularly claim they are too sick to face complaints made by their clients. Consumers are therefore advised by Diary of Injustice they should contact the Scottish Legal Complaints Commission immediately to request full copies of any & all Legal Defence Union submissions on behalf of solicitors being complained against. A legal insider close to the SLCC commented they were not surprised by the refusal to release information regarding the Legal Defence Union’s massive involvement with the SLCC in complaints against solicitors. According to the Scottish Law Agents Society website : The Legal Defence Union (LDU) was formed in 1987 for the specific purpose of promoting and protecting the welfare of solicitors in Scotland. Indeed, the concept of an independent defence body for solicitors received unanimous support at the 1987 Annual General Meeting of The Law Society of Scotland. It is committed to protecting the interests of all solicitors in Scotland whether engaged in court, conveyancing or commercial work, in town or country, and in all areas of activity. At a wider level, the LDU aims to promote the interests and defence of solicitors in Parliament, in the media, and to the general public. Consumers of legal services in Scotland and clients of solicitors should be in no doubt whatsoever, the Legal Defence Union has no interest in defending the rights of clients. 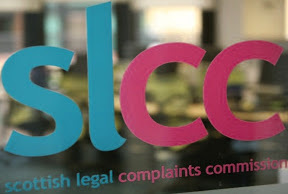 A senior official with one of Scotland’s consumer organisations said she was horrified at revelations the Scottish Legal Complaints Commission had agreed to meet a pro-lawyer organisation such as the Legal Defence Union on a secret and unrecorded basis. 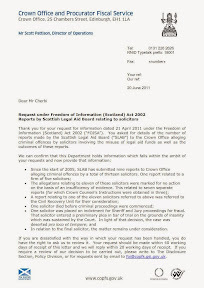 A Scottish Government insider has come forward to Diary of Injustice, confirming the Legal Defence Union “had significant involvement in the cases of several high profile legal aid fraud cases”, where a number of solicitors who were referred to the Crown Office by the Scottish Legal Aid Board for legal aid fraud, were let off the hook by the Crown Office, who strangely concluded in each & every case there was not enough evidence to prosecute the FOURTEEN crooked lawyers for massive legal aid frauds, events which occurred under the tenure of former Lord Advocate, now Dame Elish Angiolini DBE QC. 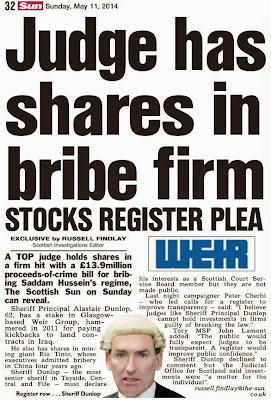 The Government insider questioned why the Scottish Legal Complaints Commission should be engaged in dodgy unrecorded meetings with a pro-lawyer lobby group such as the Legal Defence Union which has been identified as being involved in efforts to block criminal prosecutions of solicitors alleged to have committed legal aid fraud, among other things. The insider called for an investigation into the LDU’s activities and also called for all contact between the law complaints regulator & the LDU to be made public and for clients to be given the full facts of LDU involvement in their complaints. Clearly the relationship between the Scottish Legal Complaints Commission and the Legal Defence Union, a body linked to client suicides and to a string of 14 legal aid fraud cases in which the Crown Office failed to prosecute any of the solicitors concerned, raises serious questions as to the honesty & credibility of the SLCC to perform its regulatory function while giving consumers a fair hearing. Would you trust a regulator with such links & dealings with lobby groups of professions it is charged to regulate ? ONE LAW FOR THE CROOKED: Crown Office failed to prosecute any crooked lawyer for legal aid fraud in 5 years. 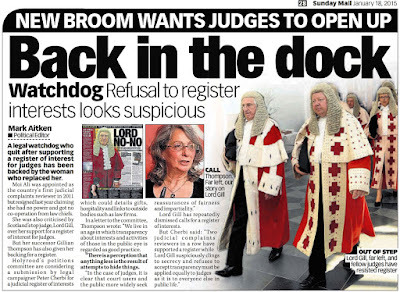 THE CROWN OFFICE & PROCURATOR FISCAL SERVICE, Scotland’s ‘independent’ prosecution service headed by the Lord Advocate, currently Frank Mulholland QC, has admitted that during the term of the former Lord Advocate Dame Elish Angiolini DBE QC, it somehow FAILED TO PROSECUTE any of FOURTEEN as yet unidentified lawyers accused of legal aid fraud and referred to it for prosecution by the Scottish Legal Aid Board (SLAB). 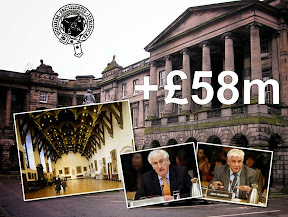 The frauds allegedly committed by the 14 accused lawyers all members of the Law Society of Scotland, collectively amounted to millions of pounds of taxpayers money, the bulk of which appears to be unrecoverable. 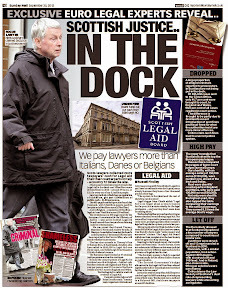 One law for lawyers : Secret Report reveals Legal Aid Board, Law Society & Legal Defence Union ‘cosy relationship’ in Lockhart case :Legal Aid Chiefs accused lawyer Niels Lockhart of excessive claims yet no prosecution or repayment took place. 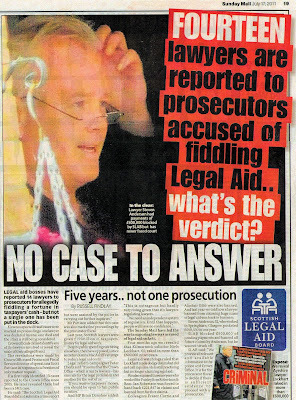 A SECRET REPORT by the Scottish Legal Aid Board (SLAB) into “excessive” claims for legal aid made by Kilmarnock based solicitor Niels S Lockhart who raked in over £600,000 in legal aid claims over two years can now be published, revealing the full extent of SLAB’s accusations against the sole practitioner, the FOUR YEAR WAIT for the Law Society of Scotland to rule on the case and the intervention of the Legal Defence Union who brokered a deal allowing Mr Lockhart to walk away from all accusations over his claims for legal aid. 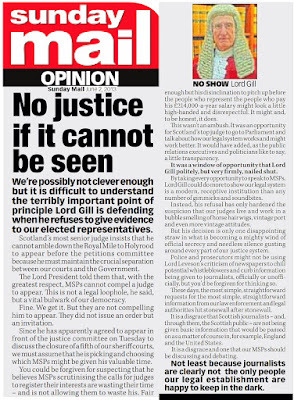 Lord President Lord Hamilton considers talking lay representatives in Scotland’s Courts, strict rules & no pay required. 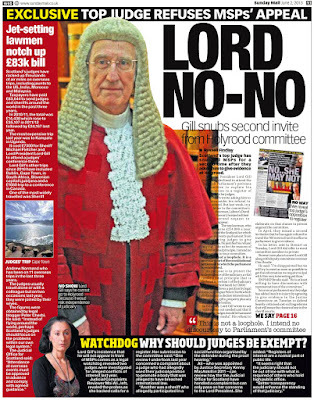 LORD HAMILTON, Scotland’s chief judge, the Lord President, is to consider how LAY REPRESENTATIVES with the ability to make oral representations on behalf of party litigants who cannot obtain the services of a lawyer will function in Scotland’s Courts after rules allowing ‘speaking’ lay assistants eventually come into force sometime in 2012. 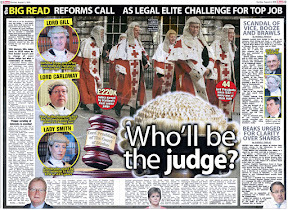 Plans to allow the access to justice reforms have already seen proposals from a judge led working group which include even stricter regulation than appears to be applied to solicitors, the banning of any expenses being recovered by party litigants represented by lay assistants, and the notable capital offence forbidding of any payment to lay representatives, the latter move encouraged by Scottish lawyers worried they may lose out on client fees. The reform allowing ‘speaking’ lay assistants comes after the Court of Session was given power in Sections 126 & 127 of the Legal Services (Scotland) Act 2010 to make rules permitting a lay person to make oral submissions to the court on behalf of a party. 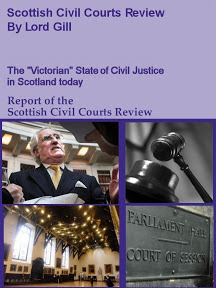 The provisions for talking lay representatives come into force on 1 September 2011, however the rules governing their use & conduct will not be enacted until sometime in 2012, such is the mediocre pace of change in Scotland’s “Victorian” justice system. 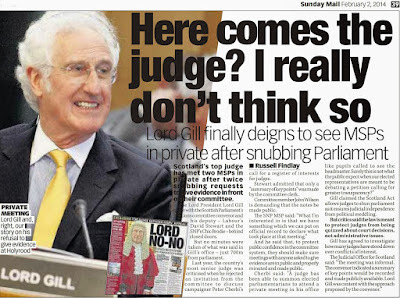 Lord Pentland’s working group has now published its consultation, to which consumers are urged to participate in, to give balance to the weight of proposals, and I dare say, objections from the legal profession who have already made their feelings known about increased competition in the courts where members of the public can potentially save themselves tens of thousands of pounds by using lay representatives rather than expensive legal representation which, in particular types of cases, does not seem to function in the client’s best interests. The new provisions only permit the making of an oral submission by a lay person. They do not facilitate any wider ability for a non-lawyer to represent a party, such as is permitted by section 36(1) of the 1971 Act in relation to summary causes. It is noted, accordingly, that the submission of documents in support of an oral submission, such as supporting written submissions or a rule 22 note in ordinary actions in the Sheriff Court, will still require formally to be performed by the litigant. The group also notes that the new provisions do not afford any scope for a lay person to engage in the examination of witnesses. This falls beyond the concept of an oral submission. The group observes that the new provisions permit a lay person to make submissions only “when appearing at a hearing…along with a party to the cause”. Given that only natural persons can appear as parties, it is clear that the new provisions do not extend to permitting the making of an oral submission on behalf of a company or other non-natural person. 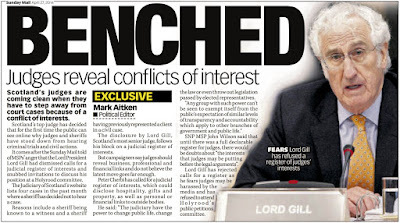 Lord Pentland’s group favoured adopting the test recommended by Lord Gill’s Civil Courts Review, namely that the test for granting an application should be that it would “assist the court”. This differed from the test in relation to granting an application for lay assistance, which was that it should be refused “only if it would be contrary to the efficient administration of justice to grant it”. That test is appropriate given the particular role of the lay assistant. But in relation to lay representation, the test should be a somewhat tighter and more focussed one. The group discussed whether it would be possible in the rules to allow a standing authorisation for a lay representative in relation to all hearings in a case; or for representatives from a certain organisation in all cases. However, it was noted that it was not the intention of the power conferred by sections 126 and 127 to create a class of authorised lay representatives (something the Scottish Courts & legal profession are eager to block at all costs) and the question of whether the making of a submission by a particular person in a particular hearing would assist the court required to be judged according to the circumstances of the hearing itself. Finally the question of payment for lay assistance was debated once again, a matter generating strong opinions within the legal profession who see paid lay assistants as a threat to the business & extortion profit models of Scottish law firms. 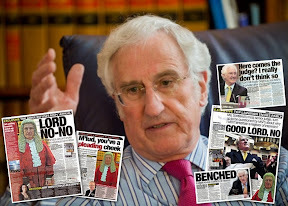 Unsurprisingly, Lord Pentland’s working group came down hard on the remuneration subject, as eager as the Court of Session to stamp out any thought a lay assistant could be paid for their services in a Scottish court, while in England & Wales, remuneration, at least for McKenzie Friends has been allowed and is now even case law in : [N (A Child)  EWHC 2096 (Fam)] to support the right or entitlement of a McKenzie Friend to charge or at least receive some form of remuneration for their services. (d) any expenses incurred by the litigant as a result of the representation were not to be recoverable expenses in the proceedings. Responses will be made available to the members of the working group and also to the members of the Rules Councils. They may also in due course be published. Please indicate in your response if you do not wish it to be published. Legal Ombudsman’s first annual report is ‘streets ahead’ of Scottish attempts at complaints regulation via SLCC. LAST WEEK the Legal Ombudsman (LeO) for England & Wales, Adam Sampson, issued his first annual report on regulation of complaints against the legal services market for England & Wales. Mr Sampson’s first report, which features stories from the LeO’s investigations into complaints has been for the main, well received, and is noticeably much more consumer friendly than the notoriously anti-client Scottish Legal Complaints Commission (SLCC) which has produced three annual reports since it came into being in 2008, the latest of which showed SLCC had managed to uphold only one single complaint in three years. The full annual report of the Legal Ombudsman can be downloaded here : Legal Ombudsman Annual Report 2010-2011. The LeO’s website is a world away from the Scottish SLCC’s poor offering. The LeO also offers information on case examples where the LeO have investigated complaints, more of which can be found HERE while decisions of the LeO can be viewed HERE. The Legal Ombudsman for England & Wales, Adam Sampson, the Legal Ombudsman also has an online blog, well worth a visit HERE. Within the LeO’s report, some of the following stories are featured in a significantly more detailed manner than anything seen in Scotland. The problems encountered by consumers in England & Wales when dealing with the legal profession will be familiar to Scots consumers of legal services, the only difference being in Scotland, consumers have to deal with the Scottish Legal Complaints Commission & the Law Society of Scotland, two of Scotland’s self regulators of the legal profession renowned for their anti-consumer stance when dealing with complaints against solicitors. Mr F complained to us that he had gone to a high street solicitor to write a will. He was then introduced to an individual in an adjoining office whom he was told would provide the service. In the event, the will proved defective. However, when he complained, Mr F was told by the firm's senior partner that the will writer concerned had been working for a linked, but unregulated, company offering legal services, including will writing. This was the first of a number of similar matters raised with us about the same company. Although the company claimed to be out of jurisdiction and the service – will writing – is not a reserved activity, we considered that the connection between the solicitors firm and the company complained about was umbilical: the firm had made the introduction, the complaint was answered by the senior partner on behalf of both entities, and the senior partner was the owner of both. Since the senior partner was a regulated individual, we judged that the company fell within our jurisdiction. In the event, and to complicate matters further, while our investigation was nearing its end, the senior partner died. The company was then taken over by another, similar company which appears to have even less connection with a regulated individual. Nevertheless, we believe that the remedy we ordered in this case will be enforceable, either against the successor company or the legal insurers. Mr P is a trustee of a social club. He and his fellow trustees employed a firm of lawyers to sell the club's premises and to distribute the payment of the proceeds of sale to all the members of the club – about 180 people. The club found buyers, the sale went through and the proceeds were paid to the law firm, as is normal practice. Part of the money was used to pay off the club's final bills and some loans, which the firm handled, leaving a substantial amount of around £180,000 to go to members. The firm also advised that there would be a delay in distributing the money to members for various administrative reasons. Not being an expert in conveyancing, Mr P was satisfied with this. After six months the firm got in contact to begin to sort out the payment to members... and then went silent. Mr P tried to raise his concerns with the firm. He then came to the Ombudsman, as the firm had not explained what had happened to the money from the sale and the members had not yet received any cash. He also asked that the firm refund the fees the trustees had already paid them, as the work had not been carried out properly. We found that the firm had been a sole practice – but that the lawyer was no longer practising. This seemed to be why Mr P hadn't heard about the money from the sale of the club, though it was confusing as the solicitor occasionally got in touch. Mr P didn't know what to do, so had sought advice from a second firm of solicitors. They also tried to contact the first firm but had no reply. Mr P heard again briefly from his first lawyer to say that members would get their money soon... and then heard nothing again. When we looked into this case, there was very little written down about what had happened. 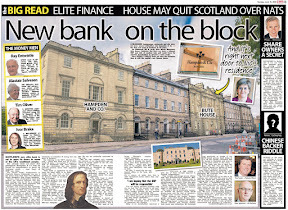 There was no client care letter, no written details about how the cash from the sale had been handled, or even about what money had been paid to clear debts and loans. What was clear was that there was some sort of problem in the law firm, and that the lawyer had tried to delay this matter. It was also clear that most of the money from the club was still in the solicitor's client account, even though the firm's records were very poor. There had been no attempt to pay this money to the club members – but the money was the club's and should not have been kept for so long by the solicitor. It had been three years since Mr P and the other trustees put the club up for sale. Mr and Mrs N had taken on a solicitor to help with two separate matters - an employment tribunal and the other to do with their mortgage insurance. They were clearly not happy with aspects of his work and felt that the lawyer had not taken their concerns seriously. After trying to raise their concerns with him, they complained to us. We first contacted the solicitor in October 2010. He repeatedly failed to respond to or comply with our requests for documents and information. Mr and Mrs N now saw the solicitor ignore the Ombudsman – and were again left waiting for an outcome to their complaint. Eventually, after seven months had gone by, we decided to take enforcement action against him as he had repeatedly failed to produce documents or provide information – even when he received a formal notice requiring him to. There were some eight prior letters, phone calls or emails from the Ombudsman, plus a formal notice and a letter from the Solicitors Regulation Authority, before proceedings were issued. The court first dealt with the case in May, but the solicitor failed to attend the hearing and so the judge ordered his arrest. A few days later, the solicitor surrendered to the court and was brought before the judge, when he was released after a court date had been set. 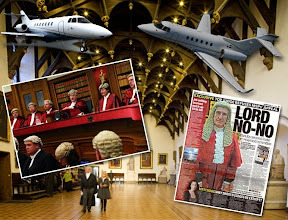 At the formal court hearing, the solicitor promised the High Court that he would cooperate with an investigation into a complaint against him – or risk being punished by the court. The judge emphasised to the solicitor that it was "absolutely essential" he communicate with the Ombudsman and cooperate to a high professional standard. Failure, said the judge, was "likely to attract the sanction of the court". The lawyer gave an undertaking to the court that he would do everything he could to help find the files needed by the Ombudsman, to cooperate with the investigation into the complaint and any others against him, and keep the Ombudsman updated with his contact details. He was also ordered to pay the Ombudsman's costs in the case so far of just over £11,000. 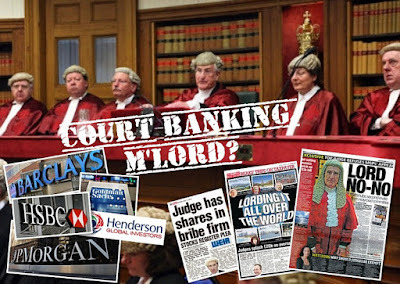 At the time of writing, we are still waiting for the information we need to resolve this case – but there is another court date set, so, while it is disappointing to have had to go to these lengths, there is an end in sight for Mr and Mrs N.
At the same time as we were dealing with this case, which ended up in the High Court, we were having similar issues with another solicitor. This one - a busy sole practitioner with a general practice - had failed to respond to our correspondence about Mr O's complaint. So he was also served with a notice requiring him to produce the relevant documents and other information. When he ignored it, we reported him to the Solicitors Regulation Authority. When more time passed again without hearing from him, we also said that we had the power to ask the High Court to compel him to cooperate. At the last minute, when faced with having to explain his non-compliance to a judge, the lawyer reconsidered his position. He provided us with the information we needed, reconciled with Mr O and continued to represent him. Consumer Group Which? gave its reaction to the Legal Ombudsman’s first Annual Report, stating : As the Legal Ombudsman publishes its first annual report today, Which? supports its call for greater protection against confusing structures and dodgy claims management and will-writing companies. Which? executive director Richard Lloyd said: “We want the government and regulators to wake up to the current lack of clarity and to provide a clear and straightforward route of redress for consumers”. Undercover investigations : Which? undercover investigations into both will-writing firms and claims management companies have revealed examples of poor practice. But the Legal Ombudsman does not currently have the powers to investigate these types of organisations. Many consumers believe they are getting a legal service from such companies, but don't realise that the work may be carried out by someone who isn't authorised to do so. Route for redress : Expanding the remit of the Legal Ombudsman would allow it to tackle problem areas of the market, give it greater scope to challenge future issues and offer customers a clear means of redress where they have received a poor legal service. Richard Lloyd said: “As the legal services market continues to grow in both size and complexity, it's crucial that consumers who have paid for a legal service that's not up to scratch know where to turn to get help”. 38,000 legal complaints : The Legal Ombudsman service was established in October 2010. Its remit is to make sure legal complaints are 'resolved quickly and with minimum formality by an independent person'. More than 38,000 people contacted the Legal Ombudsman during its first six months in operation. The organisation has launched nearly 4,000 investigations into the service provided by lawyers, and resolved 1,450 cases. Scottish Legal Complaints Commission a complete failure for Scots consumer protection against poor legal services. Well, the differences in how the Legal Ombudsman and the Scottish Legal Complaints Commission operate are astounding, to say the least. Perhaps Scots should flock south of the border to use English legal services given the prejudice & poor regulation offered by the Scottish legal services market. At least the LeO appears to have more of a will to tackle the main problems of regulation rather than the SLCC who have done little for the past three years other than soak up over half a million pounds in expenses claims & remuneration, while chalking up a few bar tabs at the same time. Labels: Adam Sampson, independent regulation, Law Society of Scotland, Legal Ombudsman, Scottish Legal Complaints Commission, self regulation, Which? No standards are good standards : Law Society of Scotland’s Director of Law Reform Michael Clancy sits on International Bar Association. A CODE OF ETHICS, a term not widely associated with the Law Society of Scotland & Scotland’s legal profession who were recently revealed to have hacked ‘difficult client’s private details in cases connected to complaints & financial damages claims made against negligent or ‘crooked’ Scottish solicitors, have been ‘updated’ in a guide published by the International Bar Association which describes itself as ‘the world’s leading organisation of international legal practitioners, bar associations and law societies’. A clue to how useful the guide is to consumers may be in the inclusion of the Law Society of Scotland’s Director of Law Reform, Michael Clancy, who has at least twice stepped in to curtail moves to reform ethics, regulation & complaints in Scotland’s legal profession. Several currently serving & former MSPs at the Scottish Parliament have disclosed discussions with Mr Clancy over constituents problems & issues connected with ethics & regulation of the legal profession which fall very wide of the mark of what is little more than a ‘fantasy guide’ from the IBA as any client caught in the maelstrom of dealing with a complaint against their legal representative will know. The IBA International Principles is the 21st century version of a set of ethics for the legal profession first introduced more than 50 years ago, with the precursors to today’s edition as the ‘IBA International Code of Ethics’ (1956 and 1988). The gathering pace of globalisation and increase in cross-border transactions has led to the Code of Ethics being revisited and republished, resulting in today’s publication. A thorough process with input from representatives of the legal profession from all continents has produced 10 core principles which should be common to all lawyers. A lawyer shall maintain independence and be afforded the protection such independence offers in giving clients unbiased advice and representation. A lawyer shall exercise independent, unbiased professional judgment in advising a client, including as to the likelihood of success of the client’s case. A lawyer shall at all times maintain the highest standards of honesty, integrity and fairness towards the lawyer’s clients, the court, colleagues and all those with whom the lawyer comes into professional contact. A lawyer shall not assume a position in which a client’s interests conflict with those of the lawyer, another lawyer in the same firm, or another client, unless otherwise permitted by law, applicable rules of professional conduct, or, if permitted, by client’s authorisation. A lawyer shall at all times maintain and be afforded protection of confidentiality regarding the affairs of present or former clients, unless otherwise allowed or required by law and/or applicable rules of professional conduct. A lawyer shall treat client interests as paramount, subject always to there being no conflict with the lawyer’s duties to the court and the interests of justice, to observe the law, and to maintain ethical standards. A lawyer shall honour any undertaking given in the course of the lawyer’s practice in a timely manner, until the undertaking is performed, released or excused. A lawyer shall respect the freedom of clients to be represented by the lawyer of their choice. Unless prevented by professional conduct rules or by law, a lawyer shall be free to take on or reject a case. A lawyer shall account promptly and faithfully for and prudently hold any property of clients or third parties that comes into the lawyer’s trust, and shall keep it separate from the lawyer’s own property. A lawyer’s work shall be carried out in a competent and timely manner. A lawyer shall not take on work that the lawyer does not reasonably believe can be carried out in that manner. Lawyers are entitled to a reasonable fee for their work, and shall not charge an unreasonable fee. A lawyer shall not generate unnecessary work. Each principle is clearly defined in the booklet available HERE and contains expanded commentary on how it could be used as a basis to establish codes of conduct for lawyers within different jurisdictions. In the cold reality of what is Scotland’s invariably dishonest legal services market, each & everyone one of the IBA’s 10 principles, values or whatever they wish to call them, appears to be broken multiple times on a daily basis. Scots clients & consumers, especially in today’s difficult financial times,, have no guarantees, safety or reason to put any faith or trust in their relationship with their legal representatives as far as I can see from the weekly lists of cases of breaches of client trust brought to the attention of Diary of Injustice on a regular basis. FOI legislation shines a much needed light into murky world of gifts for law complaints regulator. 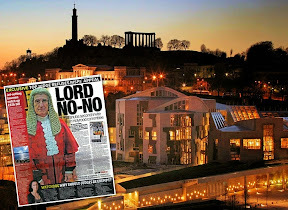 THE use of Freedom of Information legislation and its application to scrutinise the duties & somewhat abysmal performance of the Scottish Legal Complaints Commission (SLCC) has finally forced the notoriously anti-client law complaints quango to publish its register of gifts & hospitality, some three years and several scandals since the SLCC was created in 2008 at huge public expense of TWO MILLION POUNDS to deal with complaints against ‘crooked lawyers’. 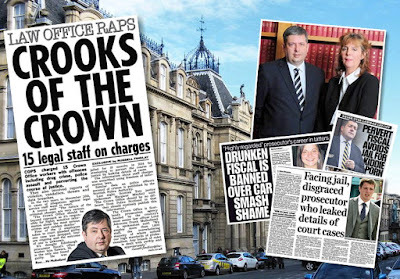 While a steady stream of gifts & hospitality flowed into the SLCC, the organisation’s latest annual report for 2010-2011 revealed in three years, it had only upheld one single complaint while sending most others back to the Law Society of Scotland. Earlier this year, the SLCC announced yet another cut in the complaints levy, effectively gifting a whopping ONE MILLION POUNDS back to the legal profession after the quango revealed it had at one point, a £1.8 million cash surplus in its bank accounts. An SLCC insider speaking to Diary of Injustice said the organisation had decided to throw in the towel and publish its Hospitality registers after receiving several Freedom of Information requests from the media & individuals over the past three years which asked questions on undisclosed links & Hospitality between law firms and the SLCC’s Board members & staff. 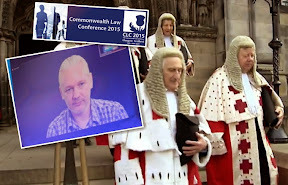 The SLCC on the other hand, claimed the move was a result of its commitment “to the principles of openness and transparency”, however legal observers view this as a victory for Freedom of Information legislation in Scotland. The move was confirmed by the SLCC’s response to a Freedom of Information request earlier this week in which the SLCC indicated its hospitality registers would now be published on its website at the following link : SLCC Gifts & Hospitality Registers with updates to be applied quarterly. The Hospitality Club : More gifts than complaints findings at Scotland’s law complaints quango. 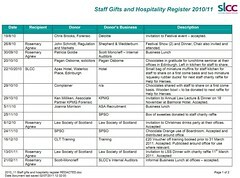 The SLCC’s registers of gifts & hospitality contains items such as invitations to dinners, drinks parties, lectures events and other gifts offered by several personalities from Scotland’s legal world including past Law Society Presidents Ian Smart & Jamie Millar, law firms such as Pagan Osborne, Shepherd & Wedderburn, Anderson Strathern, Beveridge & Kellas SSC, auditors KPMG & Deloitte, consumer organisations Consumer Focus Scotland & Which?, the Law Society of Scotland, Faculty of Advocates, the Institute of Chartered Accountants Scotland, the Medical Protection Society, the Administrative Justice & Tribunals Council Scottish Committee (AJTC), Scottish Government & others. While some members of staff are identified, others apparently are not, leaving a degree of suspicion over who attended some of the events such as law lectures at the Balmoral Hotel in Edinburgh. The insider also noted some of the law firms mentioned in the SLCC’s now published hospitality register had been identified in serious complaints made by clients against their provision of legal services, and one firm of auditors appearing in the hospitality register has been identified in a long running scandal currently dragging on in the Court of Session which has also been brought to the attention of the SLCC by way of a complaint involving a law firm which the Law Society of Scotland have apparently purposely delayed consideration of for several years. SLCC resisted Freedom of Information requests to reveal secret payoff for SLCC Chief Executive Eileen Masterman (pictured in foreground). While this is a small victory for Freedom of Information & a small degree of openness in the world of regulation of the legal profession, readers may wish to note the SLCC has stubbornly refused to disclose what is rumoured to be a massive payout to former SLCC Chief Executive Eileen Masterman, who remained in her £1350 a week position at the law complaints quango’s lavish Edinburgh offices for just over six months before quitting allegedly on grounds of ‘ill health’. 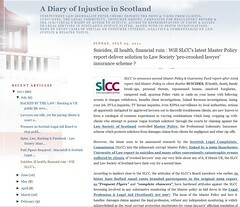 Diary of Injustice revealed how members of the public had been shut out of the SLCC’s latest research into the Law Society of Scotland’s notoriously corrupt Master Policy, when heavily censored documents were released by the Scottish Legal Complaints Commission in response to Freedom of Information requests for details of the latest Master Policy research project. Strong questions and a lack of custard pies in 2006 ensured Law Society Chief Executive fell on his information gathering memos. IN a favourable comparison to yesterday’s Westminster Culture Committee session in which hardly anything new was gained from the questioning of Rupert & James Murdoch & Rebekah Brooks on a what did they know and when did they know it theme regarding the News of the World “phone hacking” scandal, readers may wish to take note us Scots visited this same topic in 2006, where, albeit accidentally, the ‘dark art’ of information sharing & hacking into the lives of the public was revealed during questioning the Law Society of Scotland’s then Chief Executive, Douglas Mill by the now Scottish Cabinet Secretary for Finance, John Swinney. Hacking for some seems to, suspiciously, focus only on hacking phones, yet as we all know, hacking into your own life can mean a lot more. Legislation such as the Regulation of Investigatory Powers Act, with our own Scottish version (RIPSA) has effectively promoted an uncontrolled culture of hacking throughout the UK so should we be surprised certain sections of the media felt left out and did their own hacking ? No. Things like, hacking your medical records, hacking your financial details, hacking your mail, hacking your email, hacking into your home, hacking into your legal aid, hacking into your relationship with your own lawyer, hacking into your family life, and all done pretty much without so much as a whimper from anyone willing to stop it. We have seen it all before, yet nothing has ever been done until now. Did the same happen in Scotland ? Yes, although in the case of Scotland, you can be assured there will never be a Westminster style inquiry into it, ever. 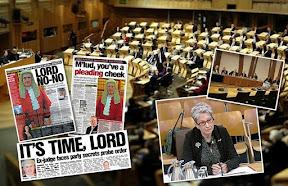 As documents came to light at the Scottish Parliament in 2006 which touched on the subject of the legal profession hacking into the lives of clients, no one thought to ask the appearing Law Society officials exactly what methods they had used when intervening in the lives of members of the public to block their access to justice. By today’s standards, not pursuing such a line of questioning when faced with documentary proof those before you had personally intervened in the lives of members of the public, gathered information which could not have been obtained in many cases, legally, had applied that information to blocking legal representation or interfering in court cases, or had knowledge that the Police had been used to thwart investigations, would in itself be suspicious. This is exactly what happened, and nothing more was said, nothing more was done. Cabinet Finance Chief John Swinney (then in opposition in 2006) knew how to ask some questions, yet he should be asking more. 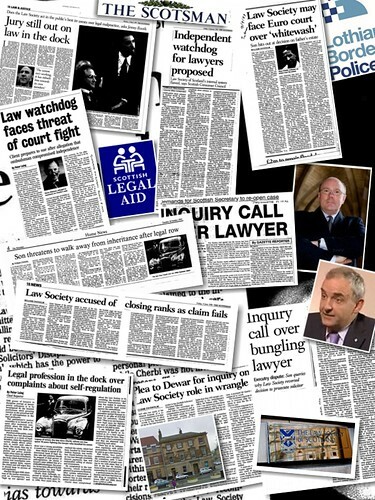 You can read more about the content of Mr Mill’s memos to the Law Society of Scotland President & the disgraced insurance firm Marsh, who were convicted of criminal offences in the United States, here : Law Society boss Mill lied to Swinney, Parliament as secret memos reveal policy of intervention & obstruction on claims, complaints. 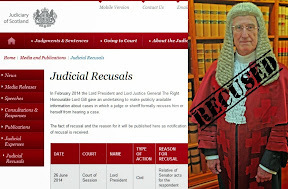 The memos between the Law Society & employees of an insurance firm portrayed an information sharing agenda on members of the public which existed in order to undermine any court actions or access to justice for those victimised by the legal profession. 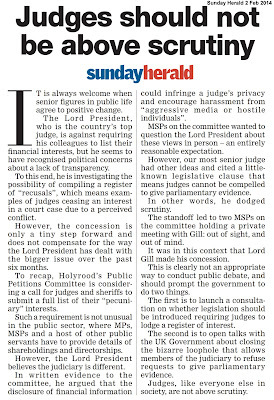 Clearly a degree of spying against members of the public was being practised by the Law Society and its insurers, and clearly the legal profession had undermined an earlier Scottish Parliamentary inquiry, yet no searching questions were asked. In one of the memos, sent from Alistair Sim, the Director of Marsh UK to Mr Mill, Sim suggested collecting information on clients while in another memo, Mill refers to a proposed Scottish Parliament Justice Committee 1 inquiry into regulation of the legal profession in Scotland, which was held in 2002-2003 under the Convenership of the Christine Grahame MSP, who is again, coincidentally of course, the Convener of the Scottish Parliament’s Justice Committee. 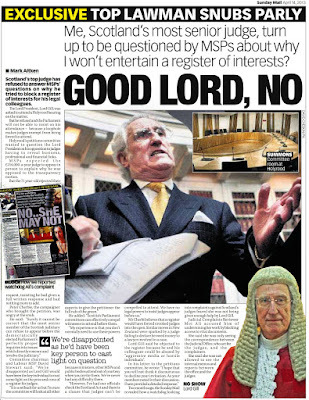 It was clear from the content of the memos Law Society officials & Marsh employees were involved in an attempt to undermine the 2003-2003 Justice Committee hearings and prevent anyone attending who might have exposed the hacking culture at the Law Society of Scotland and its insurers which was going on in the name of protecting the legal profession’s Master Policy, a massive multi million pound client compensation scheme. which oddly enough, hardly ever pays out. 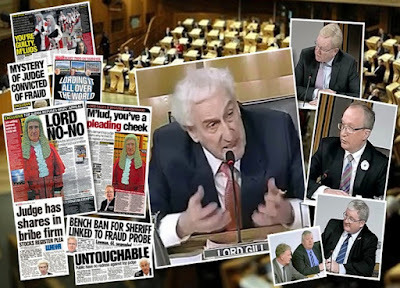 During the 2002-2003 inquiry, not one single member of the public was allowed to testify before the Scottish Parliament’s Justice Committee after the Law Society of Scotland demanded members of the public be banned from speaking at Committee hearings. The 2002-2003 inquiry under Christine Grahame did not discuss the memos made available to John Swinney, and Ms Grahame’s team subsequently went onto conclude regulation of the legal profession should remain as it was, under the control of the Law Society of Scotland. It took a second inquiry into regulation of solicitors, held in 2006 by the Scottish Parliament’s Justice 2 Committee, initially chaired by Annabel Goldie (who resigned due to a conflict of interest) subsequently replaced by David Davidson, which brought the Law Society’s meddling in cases & client’s lives to the fore. 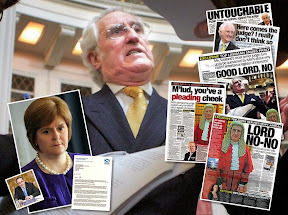 During the 2006 enquiry, members of the public were allowed to testify before the Justice 2 Committee and subsequent to Mr Swinney’s encounter with Douglas Mill over the secret memos, Mill was forced to resign, albeit only after video footage of the incident was posted to video sharing website You Tube. Yet amid all this, no searching questions were asked by MSPs as to exactly what methods the Law Society of Scotland and its insurers employed to intervene in the lives of members of the public. 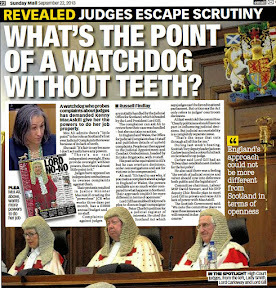 Readers can find out more for themselves in my previous coverage of just how the Law Society of Scotland and agents acting for its Master Policy insurers hack into the lives of clients, here : Spies, Lies, Hacking & Facebook : Law Society Master Policy snooped on ‘difficult clients’ to undermine damages claims, complaints about lawyers & here : Suicides, ill health, financial ruin : Will SLCC's latest Master Policy report deliver solution to Law Society 'pro-crooked lawyer' insurance scheme ? Who headed the hacking ? 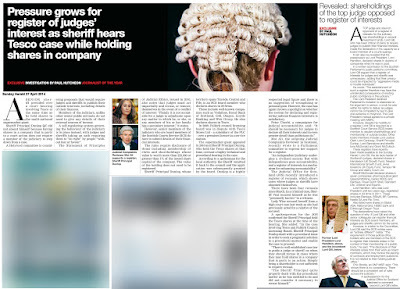 Law Society’s now former Chief Executive Douglas Mill & Philip Yelland, head of Client Relations. 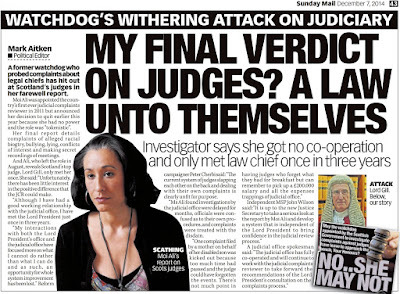 Regular readers will be well aware I was significantly targeted by both Douglas Mill who personally blocked my legal aid, and the Law Society of Scotland’s Director of Regulation, Philip Yelland, who personally intervened with my solicitor at the time and ordered him not to take my instructions. Correspondence which revealed the actions of Mill & Yelland against me, can be viewed HERE & HERE. I can assure you all, these people and agents working for their “Master Policy” made my family life and my access to justice, a living hell. Almost, a death sentence, all in the name of protecting crooked Borders solicitor Andrew Penman of Stormonth Darling Solicitors, Kelso. 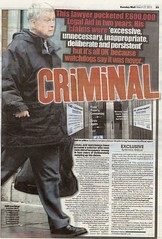 The Andrew Penman scandal was heavily reported in the Scotsman newspaper during the 1990s. 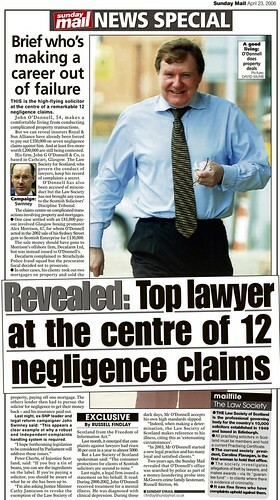 Indeed, I have not forgotten that during the time of the Scotsman’s coverage, disruptive relationships between the legal & accounting profession who were intent on preventing further media reporting on Mr Penman, and, officers of Lothian & Borders Police came to the fore in several incidents, one of which involved the compromising of a costly & lengthy CID surveillance operation. Details of this scandal may well soon be appearing in a newspaper near you. 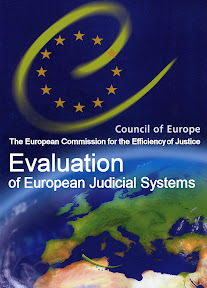 In my experience investigating & reporting on the legal profession for five years, and campaigning for legal reforms since the 1990s, information sharing, hacking, operating a policy to undermine critics by any means necessary, including the use of surveillance, and relationships involving the Police, goes right to the very top of any organisation which is very much involved in undermining the public good for its own ends. 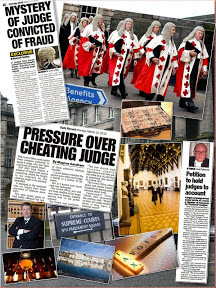 Lord Advocate & Crown Office failed to prosecute any of 14 solicitors accused of legal aid fraud. 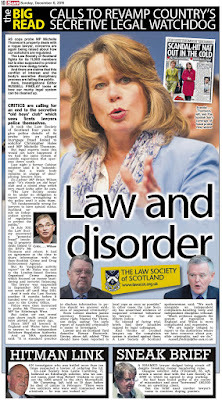 PROSECUTORS at Scotland's Crown Office & Procurator Fiscal Service (COPFS) - headed by Lord Advocate Frank Mulholland QC, have admitted that during the term of former Lord Advocate Dame Elish Angiolini (nee Philomy), highly paid Scots prosecutors failed to prosecute any one of FOURTEEN unidentified lawyers accused of legal aid fraud. 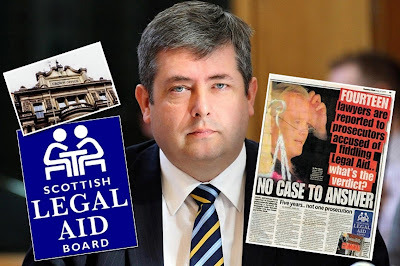 The fourteen solicitors accusing of cheating legal aid were referred to the Lord Advocate for prosecution by the Scottish Legal Aid Board (SLAB). The frauds allegedly committed by the 14 accused solicitors collectively amount to millions of pounds of taxpayers money, the bulk of which appears to be unrecoverable. Crooked solicitors & advocates are accused of negotiating undisclosed off-the-record cash payments from clients in legal aid cases. 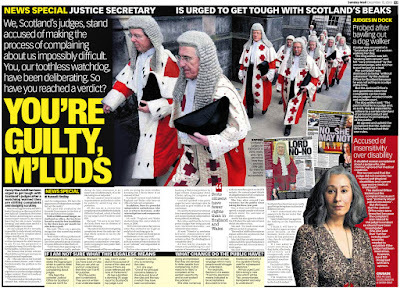 Amid further allegations made to Diary of Injustice that well known leading members of the Law Society of Scotland and some well known members of the Faculty of Advocates have negotiated cash payments, commonly known as ‘BUNGS’ to continue representing or ‘better defend’ cases involving accused individuals (and their relatives) receiving criminal legal aid, and civil cases involving recipients of civil legal aid, a legal insider close to the Scottish Legal Aid Board condemned both the Crown Office & SLAB for failing to uphold the law against corruption in the legal profession. He also went onto condemn the refusal by the Crown Office & SLAB to name any of the accused 14 lawyers and called for a full investigation into the lack of any prosecutions. A client who is pursuing a complaint with the Law Society of Scotland against a solicitor for legal aid irregularities said he was shocked by the extent of the admission from the Crown Office. An official with one of Scotland’s consumer organisations joined in calling for the names of the accused solicitors to be released to ensure consumers are protected. Crown officials did not identify any of the lawyers involved or reveal the scale of their alleged fraud. The revelations were made by Crown Office and Procurator Fiscal Service director of operations Scott Pattison in response to a freedom of information request. His first reply identified 13 cases reported to the Crown Office since 2005. He later revealed there had been a 14th case. He said: "The Scottish Legal Aid Board did not submit a crime report but were assisted by the police in carrying out further inquiries." 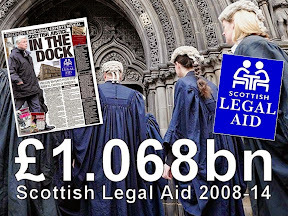 Last year, Scottish lawyers were given £155million of taxpayers' money for legal aid work. Despite public spending cuts biting elsewhere, they have opposed justice secretary Kenny MacAskill's attempt to reduce legal aid costs. Legal reform campaigner Peter Cherbi said: "It seems that the Crown Office - which is run by lawyers - has one rule for the legal profession and another for the rest of us. "If you receive taxpayers' money, you should be open to full public scrutiny." 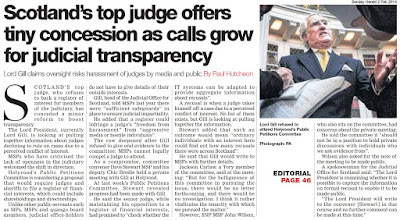 And MP Brian Donohoe added: "This is outrageous but hardly surprising given that it's lawyers regulating lawyers. "We need an independent system of regulation. Until that happens, people will have no confidence." 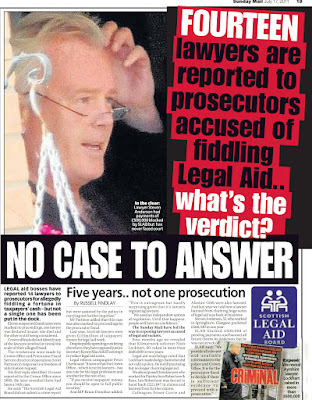 The Sunday Mail have led the way in exposing lawyers accused of legal aid rackets. 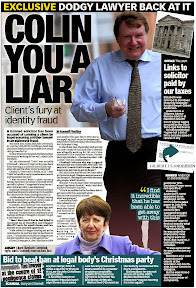 Four months ago we revealed that Kilmarnock solicitor Niels Lockhart, 60, raked in more than £600,000 in two years. 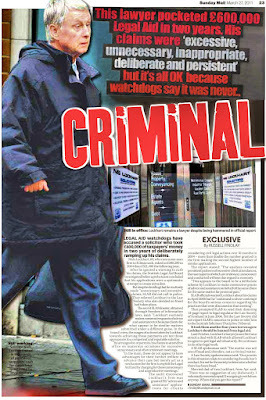 Legal aid watchdogs ruled that Lockhart made dodgy claims but did not call in police. He is still practising but no longer claiming legal aid. 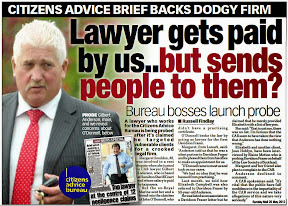 We also exposed three lawyers who worked for Paisley firm Robertson & Ross. Ian Robertson was forced to hand back £221,847 in claims and banned from further claims. Colleagues Fraser Currie and Alastair Gibb were also banned. And last year we told how a lawyer banned from claiming huge sums of legal aid was back in business. 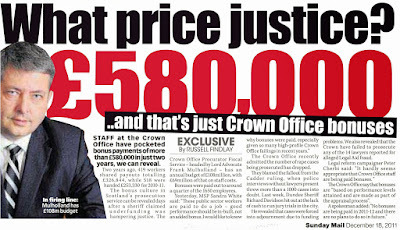 Steven Anderson, 52, who worked in Springburn, Glasgow, pocketed £560,330 in one year. 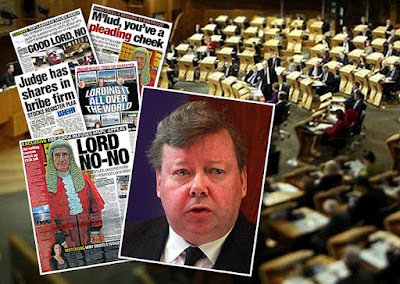 Slab blocked £500,000 of pending payments and banned all future claims by Anderson, but he was not struck off. Slab said: "We provide all relevant and available information to the police and Crown Office. It is for the procurator fiscal to decide if there is sufficient evidence to proceed with a prosecution." Dealt with a rogue lawyer, the Law Society or Master Policy ? You have been hacked. Oh yes you have. HACKING IN PUBLIC LIFE in the UK is much more commonly practised and goes far wider than one rashly closed down newspaper, as anyone who has become a figure of public interest, a celebrity, a politician, a critic of industry or vested interests, a campaigner of any kind, and yes, anyone who has made some kind of court claim against big business, the professions or even public services should know. I even know journalists who have been hacked, because they were investigating some kind of scandal which vested interests, some political, some commercial, and some public, did not want their names, companies or organisations dragged through the media in entirely justifiable headlines exposing scandal upon scandal. 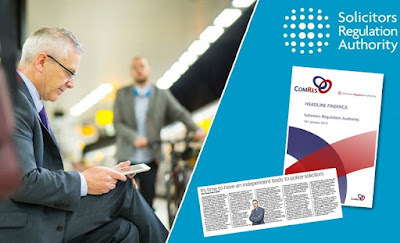 Hacking, or as former Prime Minister Gordon Brown referred to earlier this week as “Law breaking on an industrial scale” as he spoke in Parliament about rather unnecessary news reports relating to his son’s medical condition, is most definitely not limited to certain sections of the media. 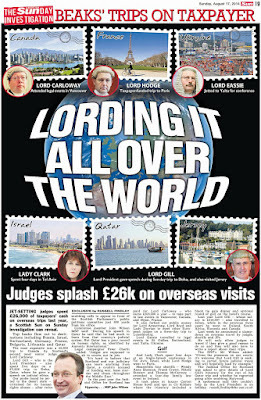 Even if we don't particularly want to admit it, I think most of us and accept that hacking in UK public life and all that illegal information sharing by professions, vested interests, big business and even public servants, exists, happens with alarming frequency, involves substantial amounts of money and personal gain for those involved, and is completely out of control. In short, it wasn't just the News of the World now, was it. The area of journalism I cover, is of course, the justice system and all its ills. Believe me, there are many and I don't need to go far to find examples. However, after my article on 3 July 2011 in which I wrote : “SUICIDES, ill health, death, family break-ups, personal threats, repossessed homes, unsolved burglaries, tampered mail, spurious Police visits or raids on your home with following arrests & charges withdrawn, benefits cheat investigations, Inland Revenue investigations, losing your job, DVLA inquiries, TV license inquiries, even RIPSA surveillance by local authorities, actions all apparently instigated by aggrieved lawyers out to discredit troublesome clients, are now known to form a catalogue of common experiences in varying combinations which keep cropping up with clients who attempt to pursue ‘rogue Scottish solicitors’ through the courts by claiming against the Law Society of Scotland controlled Master Policy, the Professional Indemnity Insurance scheme which protects solicitors from damages claims from clients for negligence and other rip-offs”, little did I realise my coverage would bring some individuals out of the woodwork who are now admitting to practising the ‘dark arts’ against disgruntled clients of Scotland’s less than honest legal profession. Was I surprised. Well, no. However I was surprised at the number of contacts from clients caught in the loop of hiring yet another lawyer to repair the damage a previous lawyer had done to their case, or those clients now trying to pursue their former lawyers through the courts. Strangely enough, all of these individuals now caught in the system appear to have suffered a string of multiple problems in their life which were not present before they had become involved with the legal system, and had clearly suffered some kind of information sharing exercise between professions & in some cases even the Police who had turned against them on all counts. In short, the Scottish justice system had clearly turned from an allegedly well respected system of dispute resolution, to that of a finely tuned, well oiled weapon used against anyone who disagreed with it or sought to recover from damages inflicted by it. 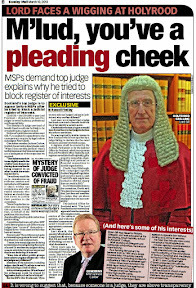 After careful consideration of material presented to Diary of Injustice, material which portrays an oh-so-obvious favour-&-trade-for-information policy involving agents working for the Law Society of Scotland’s Master Policy, I wrote a further article on 11 July 2011, reporting admissions from a legal insider that Private Investigators were routinely used to hack the details of clients who were pursuing negligence claims against their crooked lawyers, claims which involve the Law Society of Scotland’s Master Policy, an insurance protection scheme for the legal profession which is brokered by a UK subsidiary (Marsh UK) of a US company called Marsh McLennan Companies (MMC) who were found guilty of bid rigging in the US. One firm of Private Investigators admitted to working for law firms connected to the Master Policy after being challenged with information. Since I wrote the article on Monday of this week, another firm has also acknowledged its part in monitoring and seeking, on behalf of law firms who in some cases have links to the Scottish Government, details of clients private lives. Even better, a now retired Private Investigator who has gone on to confirm much of what has been said this week and provide further insight into highly questionable surveillance on clients and even some of the legal profession’s critics, has informed Diary of Injustice that law firms who represent the Master Policy “are now engaged in an effort to find out who talked”. One particular incident is certainly much more clearer to me after this week. 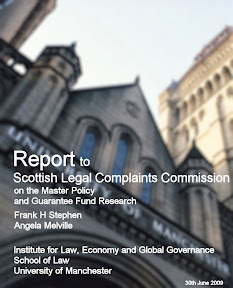 I am now in a much better position to understand why, for instance, Board members of the Scottish Legal Complaints Commission (SLCC) felt they were able, with impunity to brand claimants to the Master Policy & Guarantee Fund as “chancers” and “frequent flyers”. Simply, it was all down to the level of information on those individuals these particular SLCC Board members had access to, although how & why that information was compiled, what ‘questionable methods & relationships’ were used to compile it, and who was involved in compiling it, is, anyone’s guess for now, as is whether there is even one shred of truth to the information which was generated, and perhaps in some instances, fabricated by the legal profession itself. However one thing can be clear. This particular information obtained on clients which allowed some people at the Scottish Legal Complaints Commission to feel good enough to hurl a few insults at those attempting to recover financial losses incurred by their solicitors, certainly did not come willingly from any client. Any organisations, particularly a statutory regulator which benefits in any way from such acts of spying on clients denied justice, or whose who are caught up in trying to prove an injustice, acts clearly many of which are illegal, is not a fit or proper organisation to represent the public interest in legal matters, or protect clients interests in dealings with the legal profession. Similarly, an insurance company which has already been convicted of bid rigging in the United States and has, in conjunction with the most senior officials of a statutory regulator, coordinated a series of acts against consumers to prevent them getting to court to settle negligence claims against crooked lawyers, or crooked anyone for that, is not a fit or proper organisation to offer insurance policies which are held up by equally crooked regulators as client protection schemes, which are nothing of the sort. So this takes us back to one now very clear fact. If you have dealt with the legal profession on the basis you have tried to take legal action against a solicitor, or if you have raised what could be classified as serious or controversial complaints against members of the legal profession, particularly high profile members of the legal profession, you, like many others caught in the same position you have never met in your life, may well have been hacked. Hacked to an unimaginable degree. If anyone wants to do something about it, you know where I am. 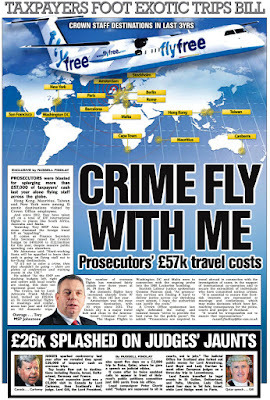 Need I remind you all, the same relationships between former journalists and corrupt Police Officers which ultimately brought down the News of the World, still exist in the same quantities, perhaps even more so, in many walks of life, in big business, in public services, and in the legal profession and indeed right at the very top of its regulatory bodies. Do you ever think the legal profession and its regulators will ever apologise for, and attempt to put right the wrongs they have committed against members of the public. No they wont. Never. This is exactly why we need newspapers & journalists with integrity, bloggers, campaigners and victims of injustice who can turn the tables on those in power, do the investigative work which needs to be done, and hold the vested interests, the crooked professions, big business, crooked politicians, the justice system, and those in public life who put on a double face, to account.